Some expert advice from Baudelaire for the artist. Rockets: Never despise any person’s sensibility. His sensibility is his genius. This statement should give every artist and poet hope. This is a statement of real support and encouragement to be true to one’s particular gift, one’s unique tendency and voice called up from deep interior meditation. In regards to visual rendering, it allows for one’s particular envisioning of phenomena and the intuitive insight that comes to those that meditate on the material and immaterial nature of our being. This role that the artist plays in society is crucial to the maturation of all its members. The judgement of artistic works lies then in whether what is rendered is conveyed with truth and sensitivity and whether it inherently evokes an emotional response that reflects that singular image. There then is no place for a verdict of whether it is right or wrong according to the norms of society but more importantly, whether it fulfills its own destiny. Although, all visual works contain an ineffable quality, there should always be an attempt by the artist to qualify the language of paint verbally. Not that this will ever be a summation of the image and its visual language, but it will provide a bridge to understanding the work. I say this because many times an image is created prior to society being able to grasp the full meaning of a works significance. Words, however inadequate, can provide that necessary path to understanding and also, an openness to the meaning conveyed in the image. This paves the way for the unique sensitivity of the artist to be transferred and felt by society. In my periodic fatalistic frame of mind, I am often forced to believe that society has become totally disinterested in painting and drawing. You noticed, I did not say the ‘visual arts’ because that is constantly touted around by society but it has very little to do with the person who is the artist struggling to render a unique and prophetic vision. The power of an image to magnify our thoughts both those that are conscious as well as unconscious, has been weakened. Through advertising as well as the prevalent use of photography, we have become over-stimulated and therefore desensitized to image and meaning. 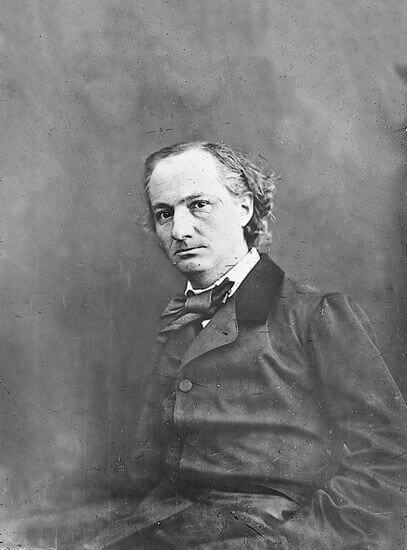 But Baudelaire’s statement from his personal journal speaks of another kind of world where one trusts one’s unique sensibilities as a necessary dynamic for a thriving society. These sensibilities will one day bear the fruit of understanding which is genius itself.